That's all I'll say about that. I have already, perhaps, said too much. Anyhoo. Apparently Royal Weddings are all the rage amongst certain inhabitants of this continent, which is certainly understandable in our northern cousins, Canadians for thee who be geographically-challenged, but not so understandable in these here United States. I mean some of us weren't so enamored of the King and his relatives back in 1775. Maybe a third supported independence, which is a rough estimate, there were no Gallup polls back then. As to the (guesstimated) third who didn't give a rodent's derrière regarding whether to go or stay with the mother country, I doubt they would get excited over a Royal Wedding, I mean they're all about the "meh," ain't they? 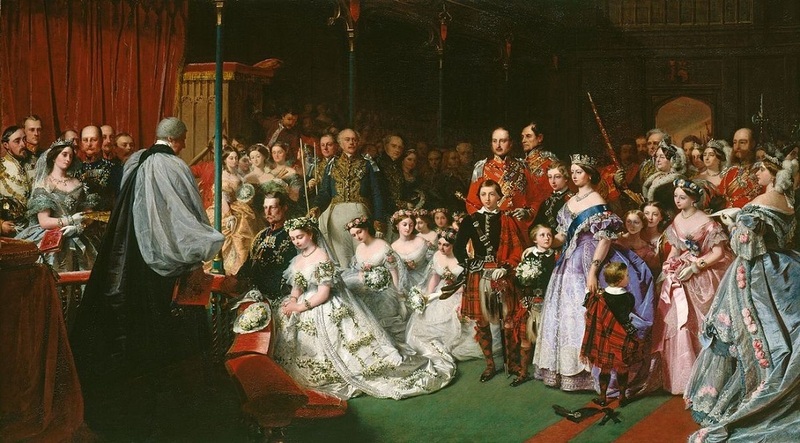 Now as to why certain folks in the U.S. of A. are worked up about this wedding baffles me somewhat, because, as I remarked to a colleague on Friday instant, "I thought all the Loyalists fled to Canada after the Revolution?" Then again, nowadays it's all about celebrities, Dancing with the Stars, and what-have-you that excites the chattering classes in this country. So as to the wedding of Prince Harry and this Markle lady, I say best wishes and may your lives be long and happy. I mean Harry seems to be a good lad (rotor head though he be, NTTAWWT) and I think highly of him. Can't say I know the bride at all. First, there's the Virtual Cockpit tours from the National Museum of the United States Air Force out in Ohio (Wright-Patterson AFB, near Dayton, to be precise) - here. Awesome stuff, hhmm, I wonder if they have one for tanks? Back to The Google. IOS has an app called cockpit360 that has a couple of swipes wort of cockpit collections. But not one that makes blogger commenting easy. I saw "swipes wort" and knew what you meant, yet a part of my brain kept saying "St. John's wort." Blogger really needs a comment editing capability, WordPress has one. I’m all for comment editing. Couple great links posted today Sarge, thanks! Family visited Wright-Patterson back in the early 60's which was a lot of fun for this kid back then. Those Cockpit Tours are a hoot! Love the cockpit tours. One of these days I need to get out that way. The over under is 3 years. I checked out one of the older aircraft, a Boeing P-12E, not much in the way of cockpit instruments. The MIG-23MS has what I thought was an odd mix of English and Cyrillic labels in the cockpit. So much to look at. Not only a good post, but also cool. They've got a Spad XIII as well, I think there are like three, count 'em three, instruments. I'll have to go back and look at the MiG, my guess is that we flew it for evaluation purposes. Easier to relabel the less obvious instruments for a pilot than teach the pilot Russian. The guys I knew, who’d been to the Language School, were folks you wouldn’t want anywhere near an aircraft ...or anything else with lots of dials and switches, (IYKWIM). I think weddings are fine... for friends and family. Everyone else should just get off the lawn. And don't park directly in front of the church. The Wright-Pat museum is spectacular. Makes the Air and Space Museum in Washington look like a county museum. The National Museum of the USAF is roughly four times the size of Udvar-Hazy out at Dulles. Yup, makes most aviation museums look tiny. As to the expanding family of the Sax-Coburg-Gothas, well, so what? Now if one of the scions of said Sax-Coburg-Gotha clan actually had the balls to stand up and take over his damned empire and fix things, you know, then I might pay attention. Pack of Pampered Princes and Princesses. Except for Elizabeth and Andrew. Both of them served. Valiantly. During wars of their eras, so I'll stay off their lawns. I did see that several of Republic's best products were represented in the tour, though it would have been neat to see an F-105's cockpit. And they have two of the wrong models of F-84s, bummer. The cockpit tour of NC-4 was rather sparse for the first plane to fly across the Atlantic. Those Ancient Aviators (hey, History channel, why don't you do a series on them, you know, real history history vs fake history history?) had brass reproductive organs, didn't they? Yeah, I would love to see a 360 of the Thud cockpit. Preferably without a SAM coming towards it. Well, that stands to reason. Don't need no SAMs. Oregon has at least two good aviation museums. As to weddings, I thinks Uncle Skip has the right of it. I know of one of them, can't remember which but it has a very nice collection. Come on out and we can visit them. One is near the Tillamook cheese place. Free samples and cheeses that they don't sell in other places. Ok, so I am a bit of a romantic, and yes, I did watch the wedding on TV this morning. But I was already up, and the news and weather wasn't on this morning. Britain does put on a good show, everything timed out to the minute. It was pretty funny to watch the minister from Chicago give the homily. It was very nice, but he was getting pretty worked up, it was fun to see the facial expressions of the congregation. Not the usual staid British stiff upper-lip type of sermon. I hope their marriage works, but the percentage is probably weighted against them since both of their parents are divorced, and Megan has already been divorced once already. But I like to watch weddings. It does my heart good to see folks care enough about each other to put up with going through all the fancy doings. And I'm sure it certainly put a wave of prosperity through the village of Windsor. All those folks (the common types) had to stay someplace, and eat someplace as well. Besides, it was much happier to watch the wedding then the story out of Texas...I'm not up for supporting kids who want their 15 minutes of fame by acting out to hurt and kill classmates. A wedding, even a British wedding, is a much nicer occasion to see on TV. Agree on everything Suz. Weddings are good, certain other things are an abomination. I wish Harry and his bride all the best.